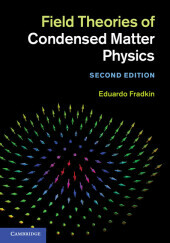 This book presents the physics of the most challenging problems in condensed matter using the conceptual framework of quantum field theory. 1. Introduction; 2. The Hubbard model; 3. The magnetic instability of the Fermi system; 4. The renormalization group and scaling; 5. One-dimensional quantum antiferromagnets; 6. The Luttinger liquid; 7. Sigma models and topological terms; 8. Spin liquid states; 9. Gauge theory, dimer models, and topological phases; 10. Chiral spin states and anyons; 11. Anyon superconductivity; 12. Topology and quantum Hall effect; 13. The fractional quantum Hall effect; 14. Topological fluids; 15. Physics at the edge; 16. Topological insulators; 17. Quantum entanglement; References; Index.